AHHHH - less than a week away from the big day. I'm getting married in just a few days! That was yesterday, the countdown to the big day is now sitting at five. 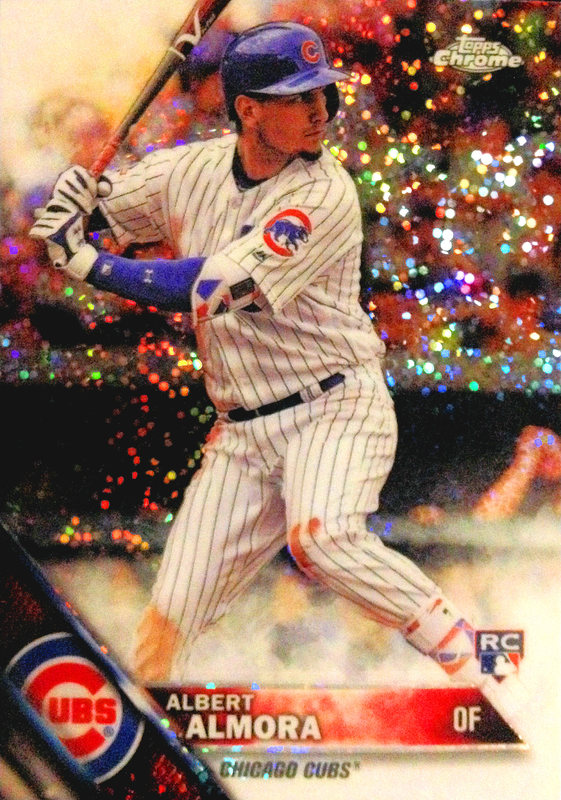 Five more days... as Harry Caray would say, "Holy Cow!" On that note, we've already received our first wedding gift. Of course, given it's content, it's actually just a gift for me. After all, it was a surprise envelope full of baseball cards... not the bread slicer, Tupperware or any of the other housewares that the lady put on our registry. However, I'm quite okay with that! First off, a couple of base cards from 2016 Update. I do believe that I already have the team set completed; however that's okay. 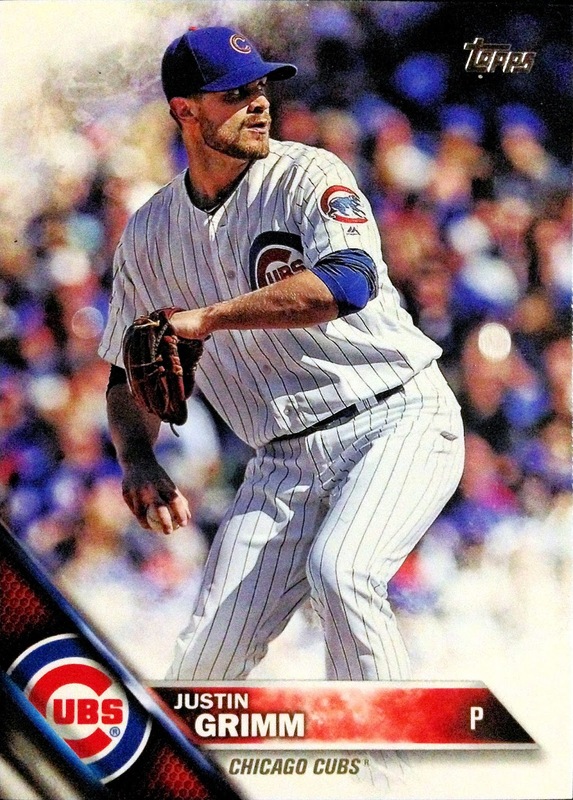 My little brother hopped on the Cubs bandwagon and was looking into putting together a complete set of the World Series Champion's roster. These will prove quite helpful in his newly declared quest. Cubbie Fever has infected the die-hard White Sox fanatic. OOOOOO - so reflective! This beautiful refractor of the front-runner for the regular centerfield gig will look wonderful as Albert's representation in my Cubs All-Time Roster Collection binder. What can I say? I'm a sucker for all things shiny and sparkly. 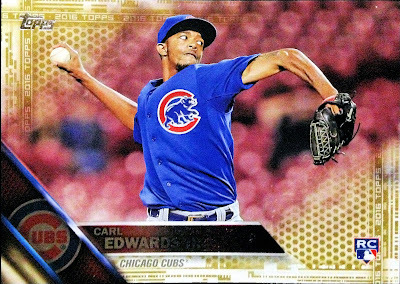 A gold parallel of Carl Edwards Jr.'s rookie card, found in the 2016 edition of Update. This is my first golden parallel from 2016 and, if not for the fact that I've already tracked down an auto for my CATRC, it too would be sliding into one of those nine-pocket pages. Nevertheless, I can always use a pretty parallel for some aspect of my collection. After 13 years at stock car racing's uppermost level, Carl Edwards announced his retirement to pursue interests outside of motorsports. While the 37 year old's resume includes 28 Cup Series wins and a Busch Series Championship, Carl will likely be best-remembered for his penchant for back-flipping of his race vehicle after every win. As my Tweet states, his calling it quits hit me right in the feels. I had the opportunity to meet Carl, when he was still rising through the developmental ranks, at an autograph appearance arranged by a local Jewel-Osco. Then competing in the Craftsman Truck Series, Mr. Edwards was gracious enough to sign my hero card and encourage me to "never give up!" Good luck in your future pursuits, Carl, whatever they may be! One is retiring, the other is the Cubs closer of the future. Meanwhile, back at the ranch, many thanks go out to A.J. for sending out this pre-wedding, wedding present. 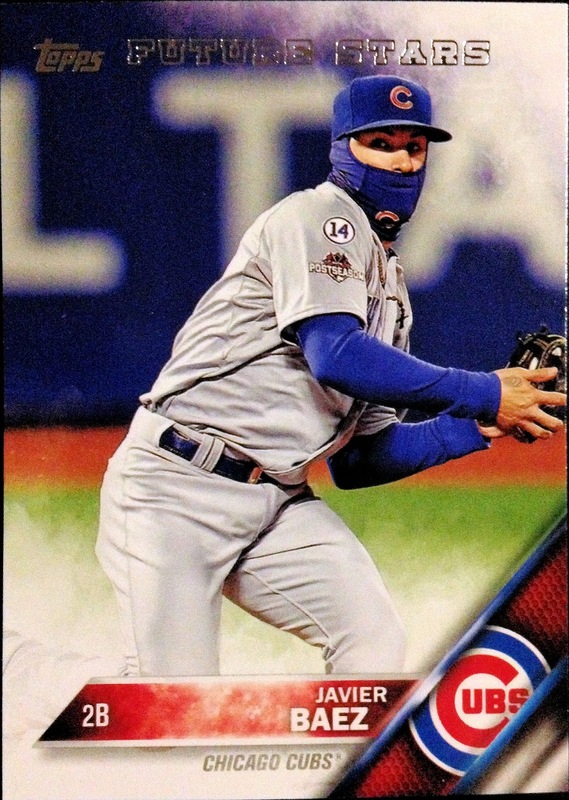 Don't worry, I've still got the cards that had caught your interest set aside and ready to go out in the mail. As soon as I get a spare few minutes, I'll be sending them your way; sorry for the delay! In the meantime, back to the last minute arrangements and preparations I go. Every time I think we've got everything nailed down, something else pops up and rears it's ugly head... it's like a cruel game of "whack a matrimony mole." 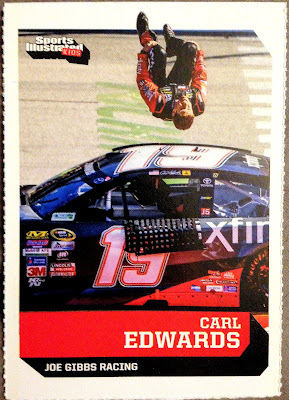 Ha, the Carl Edwards name thing always threw me off - even before the retirement. Glad you could at least use two of them. 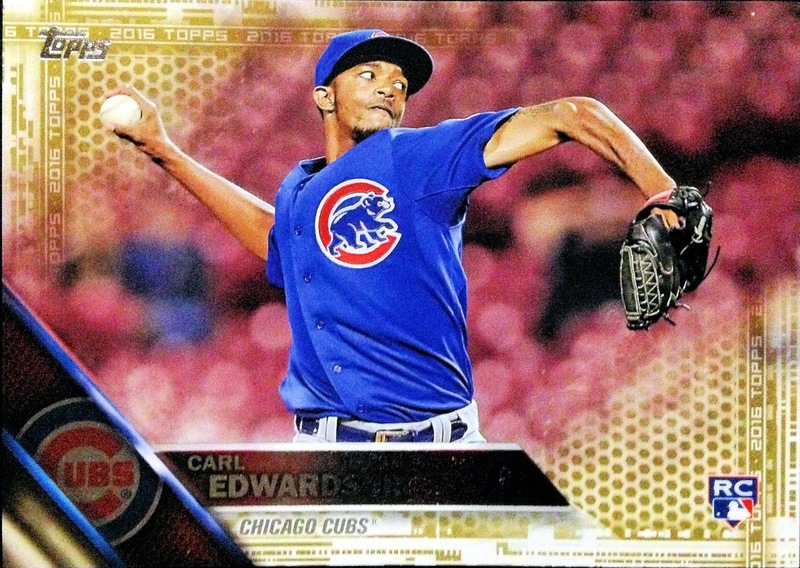 I keep pulling Cubs in the limited retail I buy, so I've been splitting them between you and PTown. I hope the wedding goes perfectly. Congrats! 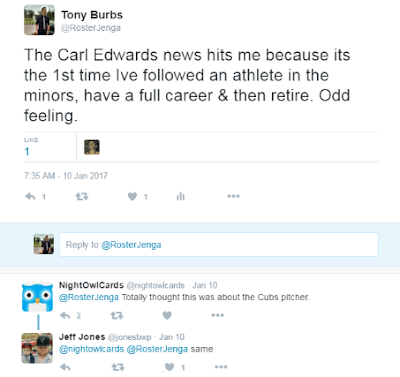 Carl Edwards was quoted at the Cubs Convention this weekend as saying his favorite thing about MLB baseball is the food. A man after my own heart! I hope the wedding goes off without a hitch! 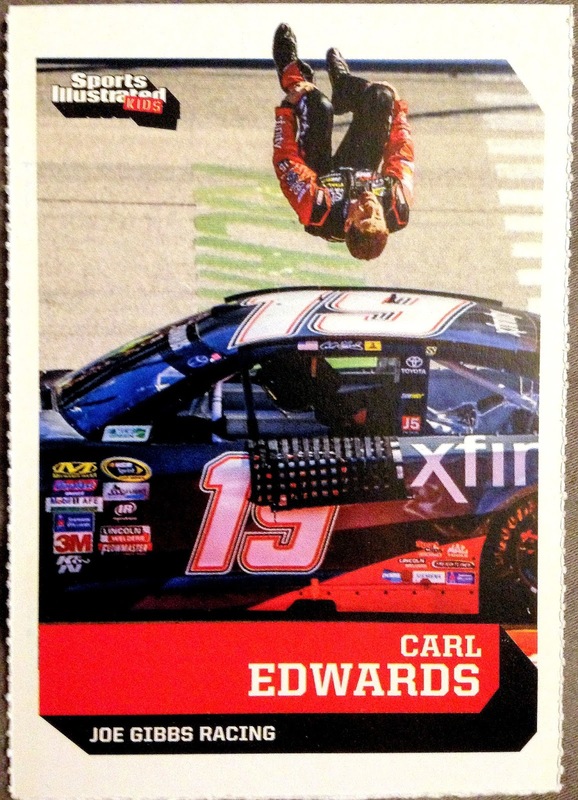 Is it wrong that I'm mildly disappointed that NASCAR Carl Edwards never fell on his dang fool head while doing one of his backflips? Congrats, kid! Nothing but best wishes that the wedding day goes smoothly and for a wonderful future! Congrats. Enjoy your wedding day! Congrats on the looming big day! 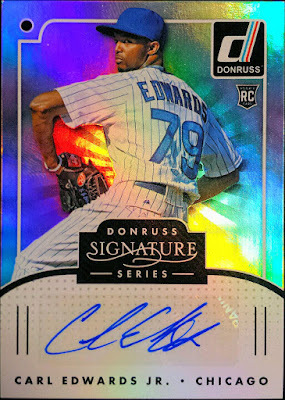 Did you register for cards? Congratulations on the upcoming big day! Carl Edwards wife is a doctor in the town, Columbia, Missouri, where my parents retired to, maybe he's going to be a receptionist? Medical billing?